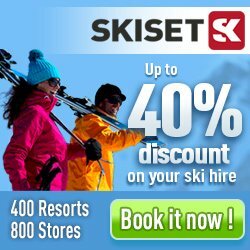 If you are looking for the best deals for a ski holiday to the Alps around Easter 2019 this is where you find it. We have collected the best travel options to the Alps before and during the Easter. NOTE! Mind that the Easter is late this year and a lot of ski resorts are closing before or around this time of the year. Do your research to make sure that the ski resort you book your holiday to usually are open in the middle of April. You can of course also use our ski holiday search or our popular Ski Search Agent that will help you find good options in case you don't know when or where to go.